Thoughts on encouraging the next generations of railway modellers. An account of the third version of his West Midland Lines and its locomotive depot. How to add missing details and Kadee couplings, to enhance appearance and performance. A selection of well proven compact layout ideas for those seeking a new project and that work well. A compact modern era scheme 6'0x1'0. A description of the methods used by the author with particular reference to running water. A classic 'O' gauge layout 26'0 long from 30 years ago remembered. A look at Bachmann GEC 44,45 and 70 ton American switchers over the years with ideas for detailing. 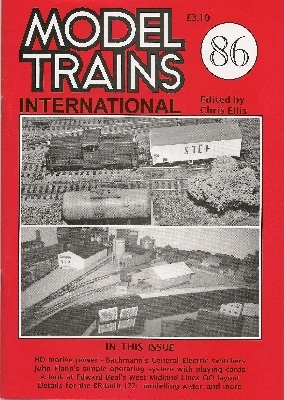 Layout ideas for the 2010 competition organized by the Wealden Railway Group. Further developments of this 3,500m x 300m On30 layout, as it progressed through MTI67,75 and 83.